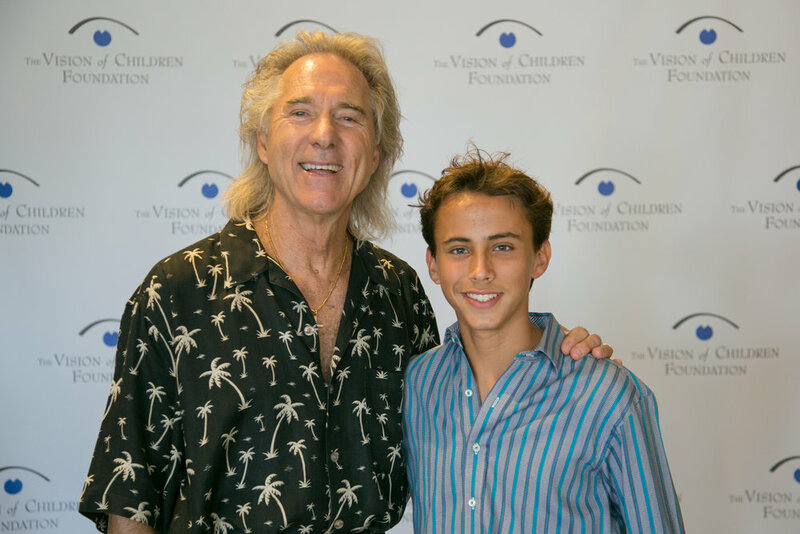 The Vision of Children Foundation (VOC), recently held their “Concert With A Vision” fundraising event in partnership with The Bay Club at Fairbanks Ranch Country Club in Rancho Santa Fe. Final numbers show that the charity, whose mission is to cure hereditary childhood blindness and other vision disorders and to improve the lives of visually impaired individuals and their families, was able to net over $500,000 towards finding a cure for genetically-caused vision disorders. The event featured a Sponsor’s Champagne Reception with music by Greg White Jr. & Ron Elliott, followed by a silent and live auction. A compelling program included testimonies from Jeremy Poincenot, World Blind Golf Champion, and Joel Gomez, a 14-year-old musician who sings and plays four instruments and is a nationally-ranked distance runner. Poincenot, once fully sighted, lost his vision as an SDSU Sophomore at the age of 19. Poincenot, delighted by the audience's compassion, surprised everyone when he announced a surprise auction item that included the opportunity to participate in a round of golf with himself at Fairbanks Ranch Country Club. Gomez, whose heart-warming musical performance brought some attendees to joyful tears, began running once his vision made his passion for soccer nearly impossible as the ball became exceedingly difficult to track. Both young men are legally blind and work to raise awareness for genetically-caused vision disorders and The Vision of Children Foundation. Despite unexpected showers, the night culminated in an intimate performance by 60’s legends Gary Puckett & The Union Gap. Puckett, unwilling to disappoint the event’s attendees, executed a last-minute, indoor acoustic show performing his top hits including “Woman, Woman,” “Lady Willpower,” and “Young Girl.” Inspired by the generosity of the event's attendees, the night ended in a personal, heartfelt thank-you from Chase Hardage himself, who spurred the creation of the foundation after he was diagnosed with a genetic vision disorder for which there was no cure and no research being done in 1991. 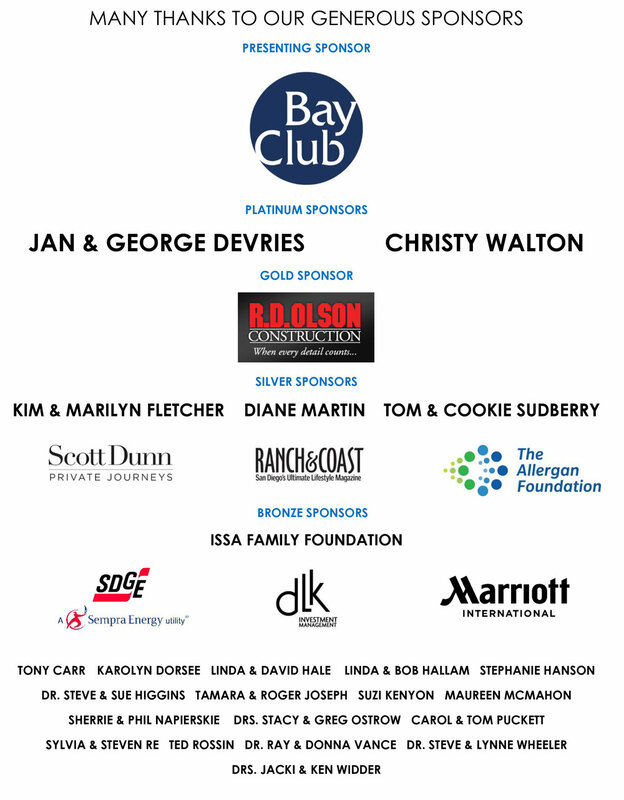 Event sponsors included The Bay Club, Jan and George Devries, Christy Walton, Cal-a-Vie, Four Seasons, The Collings Foundation, Scott Dunn Private Journeys and R.D. Olson Construction. All proceeds from “Concert With A Vision” will assist VOC in funding the remaining two years of a life-changing research grant with the goal of finding a cure for genetic vision disorders. The Vision of Children Foundation is a 501 (c)(3) non-profit organization whose mission is to cure hereditary childhood blindness and vision disorders. Based in San Diego, the organization has been a driving force in funding groundbreaking research in its quest to find a cure for genetically-caused vision disorders for children around the world since 1991. To learn more, please visit www.visionofchildren.org.